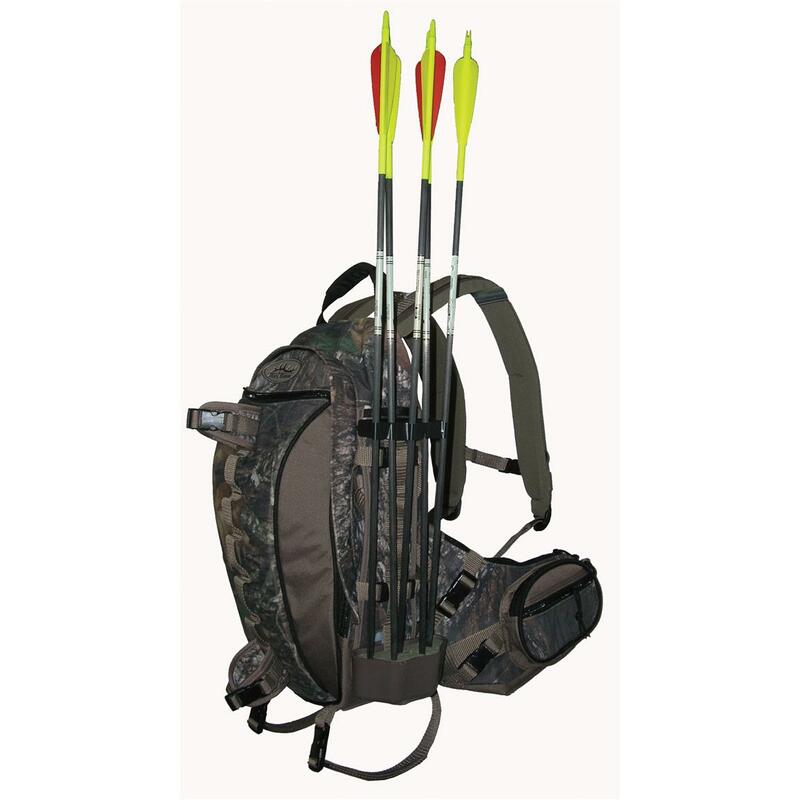 Horn Hunter® G2 MAQ Quiver Pack with 17 pockets and a quiver attachment! SAVE BIG! The quiver attachment evenly distributes the weight of your bow and quiver, letting you carry both on your back with minimal strain! Not to mention the 17 pockets, 6 of which you can access without taking it off. 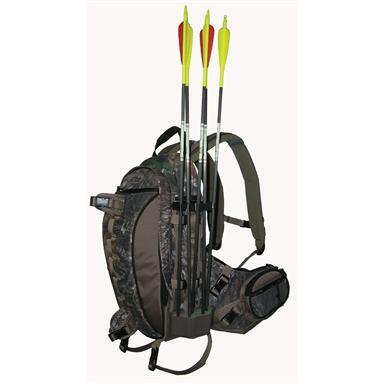 This is the ultimate bow hunter's Pack, at a Guide price that hits the bull's eye! Made of soft, quiet microtech fabric in a Mossy Oak® Break-upTM camo pattern. We'll make you "quiver" with delight from the BIG savings! Versatile and convenient storage for the bird hunter.